It’s made of Lego and Duplo bricks, but building the southern hemisphere’s tallest Christmas tree definitely wasn’t child’s play. In fact, it took a team of grown-ups 1200 hours to plan and build the 10-metre tree that has taken prime position in Sydney’s Pitt Street Mall. 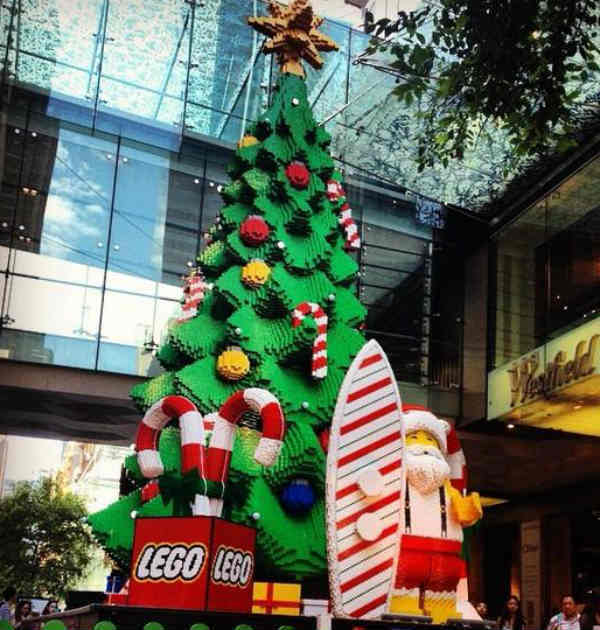 The tree is made from half a million blocks and includes ornaments, candy canes, a surfing Santa, a koala, presents, a star, a nutcracker and a reindeer designed by 10-year-old Lego Club member Luke Francis. 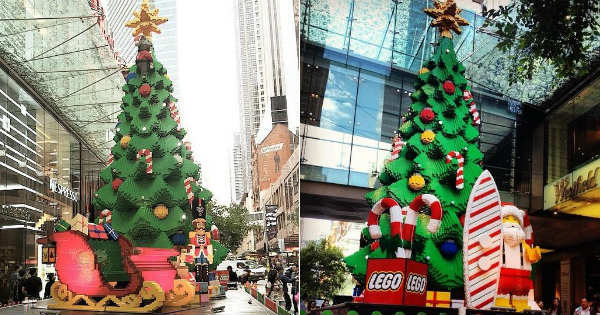 Lego has released a timelapse video showing how the incredible tree was made – by building sections of the tree and assembling on-site. The tree comes to life every night with a light show set to Christmas carols. If you’re in Sydney’s CBD, you can catch it every 15 minutes from 8pm to 9pm inclusive, until December 26.